on 01725 510326, emailing info@stlaurencedownton.co.uk or leaving a request on the prayer tree in church. prayer requests we receive, as well as to pray for the wider community. As we begin a new cycle of Roads to God, we have decided to change the time of the prayer group, moving it to a morning. This is because a number of people prefer not to come out in the evening, especially in the winter months. We will now meet on the third Wednesday of each month, at 10.00am in church – starting on 21st June. The prayer group only lasts for about half an hour and we would encourage you to come when you are able, to support this important part of the Roads to God mission. You do not have to come every time, nor do you have to be part of the existing group of Roads to God volunteers. and we are extremely grateful to him for having led the group since we started back in 2014.
monthly prayer meeting. We’re very grateful for the feedback and for the people who have asked us to pray, sometimes about particular problems, sometimes for thanksgivings and celebrations. We are about to start again at the beginning, so please look out for your card. Do consider whether there is anything you would like to ask us to pray for. You don’t have to wait until it’s ‘your turn’, though. -sending an email to info@stlaurencedownton.co.uk. 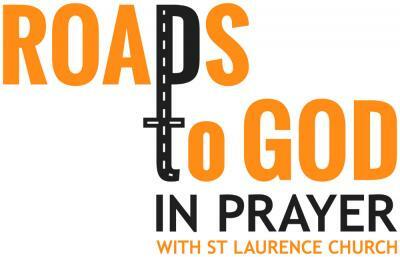 From June 2014, Saint Laurence’s Church will be bringing Roads to God in prayer. Each month, we will be offering prayers for the people living in certain avenues, closes, crescents or other Roads. Over time, we plan to move through the whole village. If your road is not on the list for a particular month please do not feel excluded, simply contact us with your prayer request. People from the Church will be delivering cards to the residents of the Roads selected for the month to ask for any particular requests for prayer. These can be prayers of thanksgiving and celebration as well as prayers of concern and intercession. We will pray for the Roads during services in Church and at a monthly prayer meeting. It will be possible to ask for particular prayers to be treated in confidence and not used in public. This prayer meeting will also include the people named on our sick and bereaved lists and the prayers on our prayer tree. You do not need to wait for a card to arrive, the church is open every day, during daylight hours, just add your prayer to our Prayer tree and it will be included. Our first Prayer meeting will be held on Tuesday 24th June at 7.30pm in St Laurence church. If you would like to know more about getting involved please contact me. I need deliverers, administrators and your prayers. Our Mission – To serve the village community in Prayer. It is our hope that, in this way, we can make known God’s loving concern, and that of the Church, for everyone in this parish. Lord Jesus Christ, you are the Way, the Truth and the Life. and so find Roads toGod in this place. We ask this in your name and for your sake. At St Laurence church we regularly pray for our local community and we would now like to make this more personal. During ………………….… we are particularly praying for ………………. If there is anything or anyone you would like us to pray for please let us know. Please return the card to The Vicarage, Barford Lane, info@stlaurencedownton.co.uk or call 01725 510326. Please tick here [ ] if you are happy for this prayer to be used in our monthly prayer meeting in church, otherwise your response will be treated in confidence. Please tick here [ ] if you would like someone from the church to contact you.